Explore the diverse selection of this shop and find unique Chinese ceramics, jade beads, paintings, and other beautiful pieces. 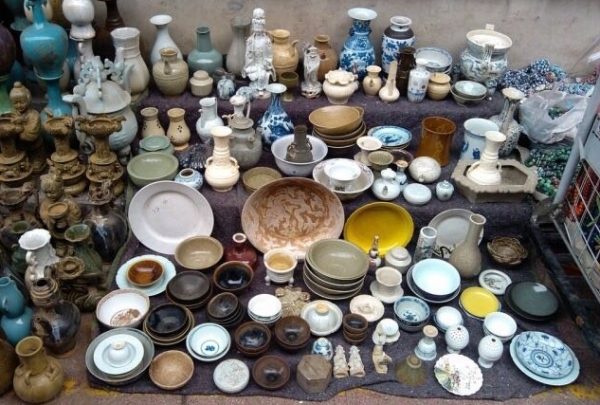 Panjiayuan Flea Market is China's largest secondhand market. You will find all kinds of crafts, antiques, old furniture and periodicals on sale here. A must visit if you want to get your hands on some really good stuff at cheap prices. However, make sure you know the art of bargaining and are good in differentiating a real deal from a fake one. Open seven days a week, the market attracts both domestic as well as foreign tourists. Traders from all over China have their stalls put up in this market. Covering an area of 48,500 square meters, it is a place you can't afford to miss when in Beijing. Get a chance to swim with sharks & sting rays, see deadly ocean predators in the 270-degree tunnel & peek at over 30,000 aquatic species. Honored as the largest aquarium in Southeast Asia, Siam Ocean World is especially popular with tourists and school groups. 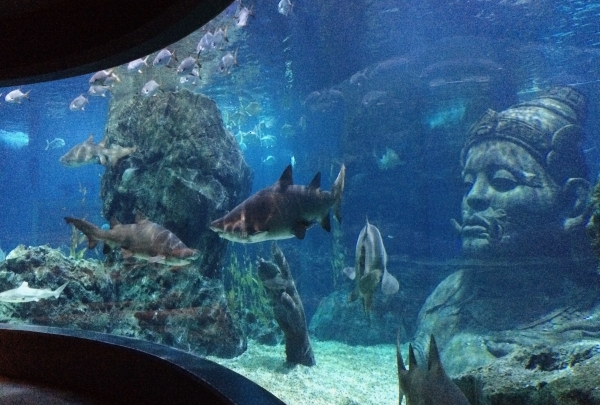 Visitors enjoy seven different areas including open ocean, which has a walk-through viewing tunnel to spot sharks and rays. Additional attractions include daily activities like feeding times, diving or walking with sharks, a glass bottom boat ride, and a 4D Xventure theatre, most of which require additional payment over the basic entrance fee. The place tries to be informative and educational, and is a good way to occupy children bored by shopping at the Siam Paragon. An architectural masterpiece, this temple has multiple statues of Buddha, various sacred murals, a large pavilion & a peaceful garden area. Founded in 1857, this Buddhist temple is located today between two popular malls. A beautiful example of ancient craftsmanship, the temple has a crematorium featuring ornate stencils and lacquered sculptures. The 'ubosot' has various principal images of Buddha, known as Phra Sai and Phra Saen and another image, Phra Soerm is established in the assembly hall. 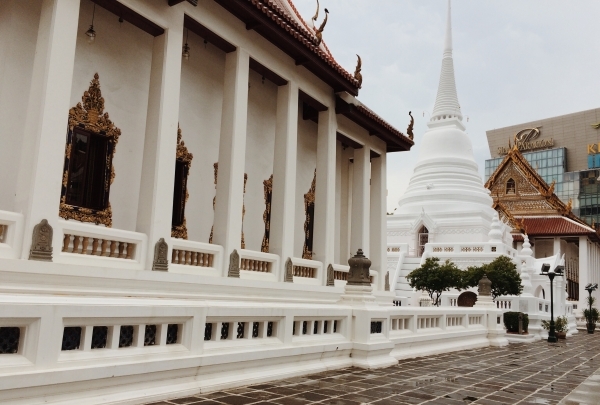 The temple is a fascinating contrast to the urban surroundings of the town, and a peaceful stroll through the green garden lined with sculptures and statues of various deities is a fresh change. A modern museum-like space preserving art of any medium. Visit one of its exhibitions or events & interact with artists & art-lovers alike. The Bangkok Art and Culture Centre opened its doors in 2008. 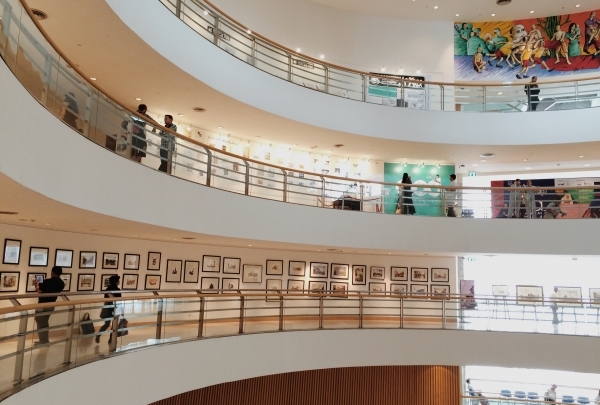 This modern, eleven-story art center offers exhibition and performance space in the form of galleries and studios, as well as an auditorium and meeting rooms. The center also houses a library. Not only does it showcase the visual arts and design movements, but theater and musical performances also take place here, as well as planned film screenings. Have a bespoke garment handwoven from your choice of 1,000 colors of exquisite Thai silk. Since 1992, ALMETA has been manufacturing highest quality silk in our own workshop in the Northeast of Thailand, combining traditional Thai hand weaving methods with contemporary colors and designs. 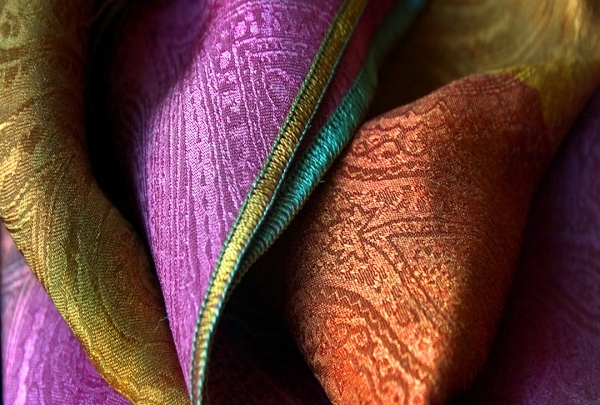 The use of vibrant colors, embroidery techniques or natural materials such as seashells or peacock's hair integrated with silk-weaving, creating a totally new dimension for Thai Silk Industry.